Soon after I met him it was discovered that he had naturally occurring epilepsy. 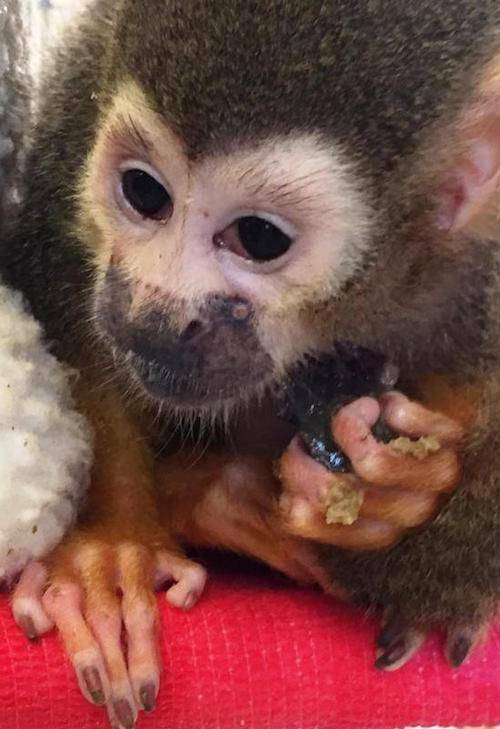 This condition meant he was ineligible to be in research studies, but that he could instead be a companion to monkeys that were assigned to studies. When I met Buddha fifteen years ago he was nameless, 7-years old, and had just endured puberty. 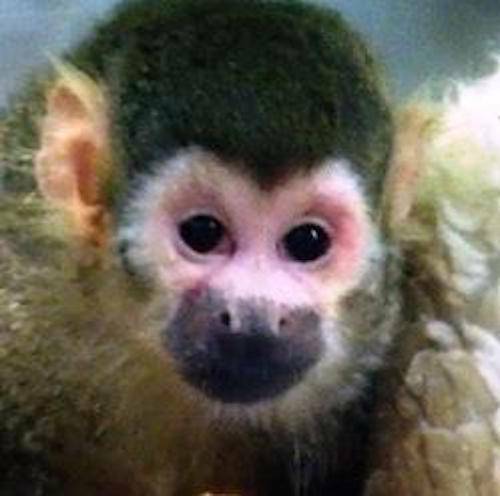 Despite his youth, a time for squirrel monkeys typified by an overflow of energy, he had an observable calmness that was not present in any of the other squirrel monkeys he was living with, hence his name. Over the years, Buddha was a calm and gentle companion to many, largely because he characteristically let other monkeys set the tone for the relationship. As Buddha aged he required ever increasing care until eventually he needed assisted-living, monkey style. This included a custom designed home with specially wrapped perching, supplemental feedings with Ensure, and help spiffing-up his personal hygiene routine. My love for him compelled me to provide the daily care he needed to live a good life, as long a possible. At times, when the care was apparently too doting, he would protest vocally with an audible and grouchy 'hgrrrrr' telling me to back off, and I did, but mostly he accepted the care with gusto. friend Alan close by, and readily accepted care from Jungle Friends staff and volunteers who doted on him as much as he was accustomed to. It was a great heartbreak in mid-September last year when Buddha's health rapidly declined due to his advanced age. He lived a good and long life. I miss him and fill the void by recalling memories and replaying those grouchy little 'hgrrrrs' of protest in my mind's ear to keep him close." Although Buddha was not with us for very long, he lives on here at Jungle Friends in our hearts. We miss Buddha's sweet face and his kind disposition every day, he was one special little guy and we were fortunate to have known him.